Our fresh, gluten free pasta is made from our own specially developed flour blend and is finished by hand. The items available from our Pantry are all made from organic and authentic Italian produce, beautifully packaged and ready to use. All of the ingredients in our carefully developed recipes are sourced from wonderful artisan producers in Italy. Our gluten-free catering has been inspired by classic Italian recipes and given our own Healthy and Delicious contemporary flourish and finesse. Our food is freshly prepared to restaurant standard and delivered straight to you. 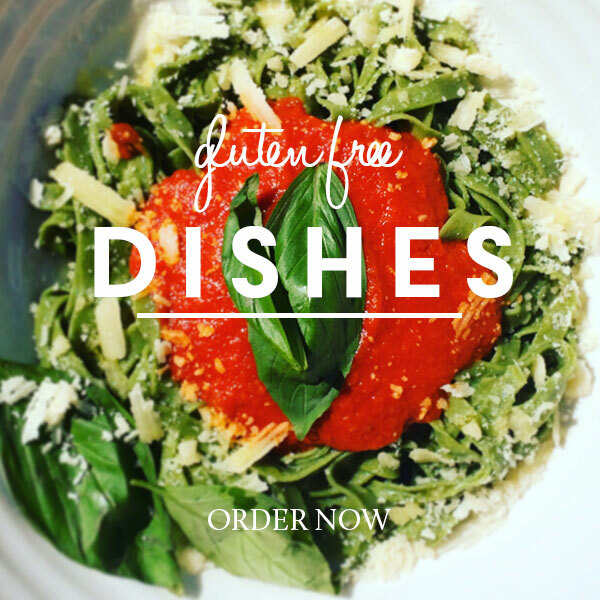 Whether you're planning an event and in need of fabulous food, or you want to create your own gluten-free gourmet meal, ours is the kind of special Healthy & Delicious food that will truly deliver. This classic marriage of succulent smoked salmon filled pasta pockets with our wonderful, freshly prepared asparagus and parsley pesto sauce is a gourmet, gluten-free delight. Watch how Leo carefully fills the delicate pasta rounds and folds them into the authentic Agnolotti shape. Mouthwatering and (of course) completely gluten-free. Click on the image to watch the video or visit our shop to place an order. Our tantalisingly delicious Lemon Tart is our take on the renowned Italian dessert. See Leo create our crisp, melt-in-the-mouth pastry with fragrant and zingy, creamy lemon custard. All finished with a decadent dusting of icing sugar and a sprinkle of caramelised lemon zest. Hard to believe it's gluten free too. An authentic blend of our very own hand rolled lasagna, our own special tomato sauce, healthy and delicious gluten free béchamel sauce and everyone's favourite Italian cheeses. Watch Leo prepare our simple yet scrumptious signature dish, completely gluten-free and all ready to be devoured.